The good news for Chad Mendes is that he doesn’t have to wait that much longer for his rematch with reigning UFC featherweight king Jose Aldo (pictured). The bad news for “Money” is that he’s going to have to enter hostile territory for a shot at redemption. Following Saturday’s UFC on FOX 12 event, UFC president Dana White announced the highly-anticipated rematch will go down at UFC 179 in Aldo’s backyard of Brazil. 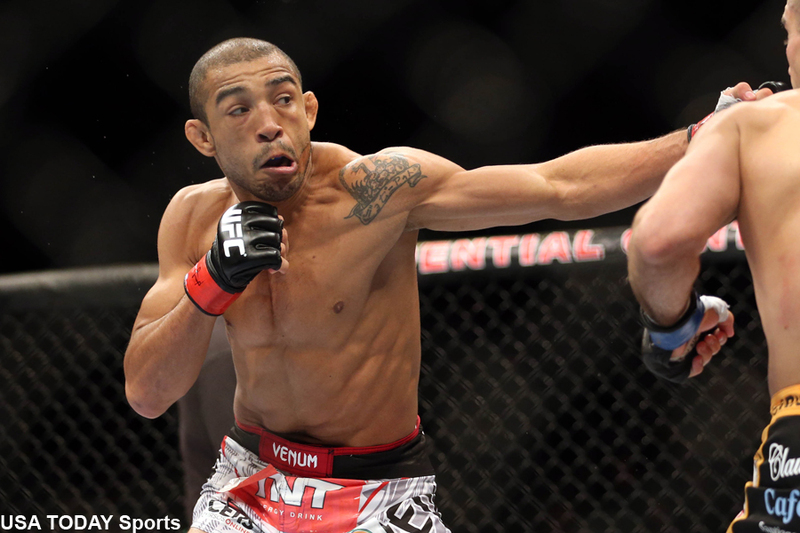 Their sequel was initially slated for UFC 176 in Los Angeles, but Aldo was forced to pull out of the August 2 show with a neck and shoulder injury. The UFC subsequently “postponed” (which is code for cancel) the entire event. Aldo will be riding a 17-fight winning streak into the rematch, a torrid run the Brazilian ignited in May 2006 en route to becoming the UFC’s most decorated 145-pound champion. “Scarface” most recently posted a unanimous decision victory over Ricardo Lamas in February. Mendes has rattled off five straight wins, with his most recent coming over Nik Lentz in December. “Money’s” last defeat came in highlight reel fashion when he blocked Aldo’s knee with his face at UFC 142 in January 2012. The October 25 takes place inside Maracanazinho Gymnasium in Rio de Janeiro. No other bouts have been announced for the card at this time.